Following rules is one of the most difficult part of life and of business. Some rules should be followed day after day, for many years, for as long as a company lives. But these rules finally bring companies to success. Some rules are not obligatory, but when we speak about the Golden rules, you cannot afford ignoring them. In customers service there are core rules, that sound simple, but in real life they are very hard to follow. Those who manage to provide customer service by following these rules, stand out from their competitors. 1. Customer service is everyone’s job. Every contact with your clients is important. Customers do not make the difference between the staff who is supposed to help them and who is not. They expect responsiveness and support from everyone in your company. 2. Ask questions and listen to the answers. The less questions you ask, the more chances are that you misunderstand your customer expectations. Last week I called a bank to solve a small problem, and they switched me to the wrong assistants three times in a row, because they thought they understood what I was telling them. But they were absolutely wrong. They did not even try to ask questions and identify the problem correctly. As a result – from their loyal customer I have downgraded to a customer with a negative attitude. Ask questions and listen to the answers. Also pay attention to the words, tone of voice, body language, when possible, and try to understand how your customers feel. You cannot help your customers if you are not able to understand them. 3. Promise only what you can deliver, and then over deliver. There’s nothing worse than disappointing customer expectations, and there’s nothing better than delivering WOW-service. Providing WOW-service means significantly exceeding customer expectations. 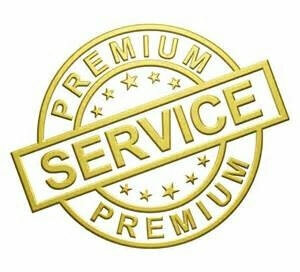 WOW-service is the best way to win loyal customers. 4. Know how to apologize. Sometimes things go wrong. Do not just give angry customers their money back and let them go away angry. Admit you were wrong and issue a great apology. When you let customers go away angry, you lose customers. When you go an extra mile to make the situation right, you may win the customer back. Humility can calm anger faster than a refund. None of customer service strategies is viable without well-trained, enthusiastic and capable employees. Unhappy employees are not able to make customers happy. Give your employees the most effective training and proper motivation. Show that you value and respect them, and they will pass this attitude to your customers. Following these rules is not as easy as it seems, but if you start following them just little by little every day, it will bring your customer service to an absolutely different level months and years after.